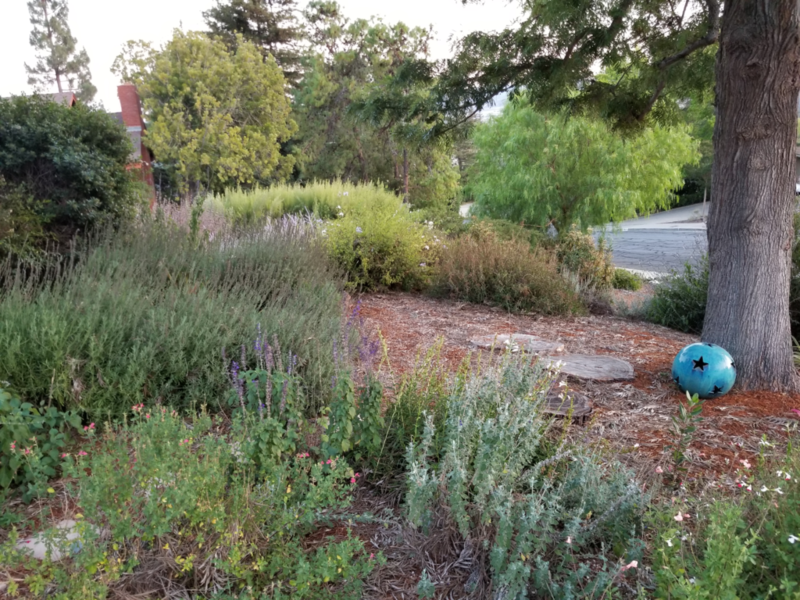 We started *xeriscaping the front yard four years ago. It took use a few months to finish the following: Creating a buy list of plants and sprinkler parts, remove old plants, creating less of a slope in one area, converting all the risers to a drip system, and finally planting the new plants according to size, color, shape, texture, slope of the yard. We used a large bulb auger to create most holes and filling in with a shovel on the, very few, big holes. Every day we would plant a small area three – ten plants, run a new drip system around the plants and then install the emitters. Hubby dug the holes and helped with the planting. I ran the drip line and installed the emitter. Every day we were both exhausted but thrilled with the progress. Sometimes we took a day off. 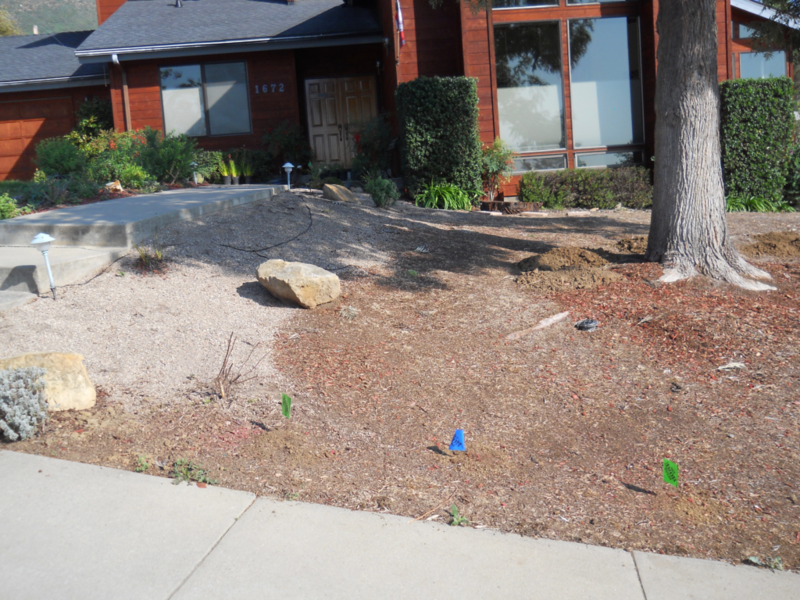 At the beginning of the job, he area that the slope was lessened. Three years later, the lower area where the slope was adjusted. Three years later, the upper area where the slope was adjusted. 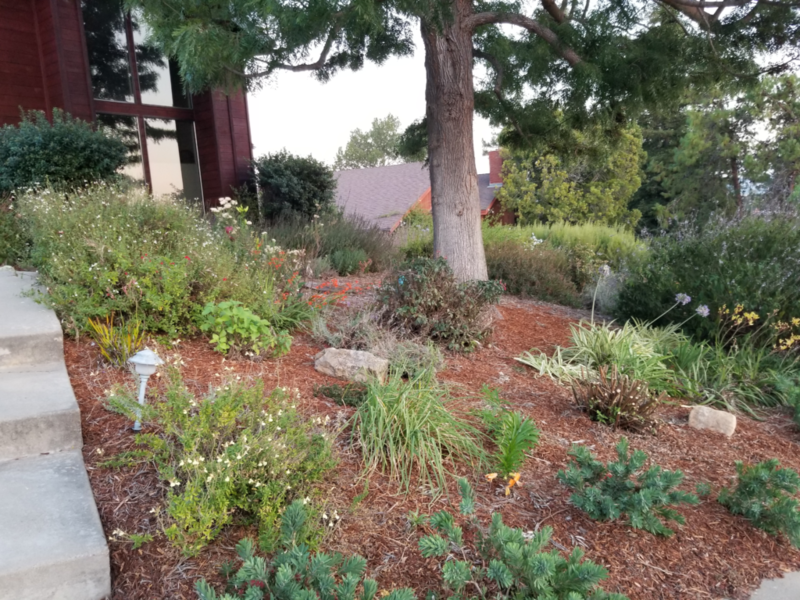 *Xeriscaping (less commonly xeroscape) is landscaping and gardening that reduces or eliminates the need for supplemental water from irrigation. From Wikipedia.